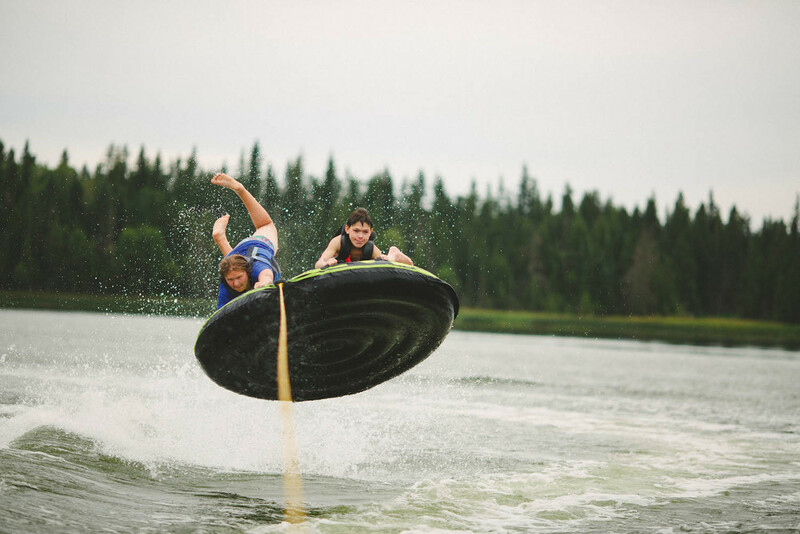 More than just a great summer camp on one of the best lakes in Saskatchewan. We are people that care about inspiring youth to live better lives. We are a second home. We hold the value of relationship as the foundation of why we do things and continue to build on that base to help kids explore who they are and are created to be. First opened in 1982 with summer camps, we now have programming in Spring, Summer, and Winter. In all seasons we seek to create new and exciting learning experiences, always staying focused on people. We are a Christian camp and believe that God seeks relationship with all people and He challenges people to build a better world. We want to challenge youth to be world changers too! Looking to be a staff member at Kadesh someday? Check out our LIT program this summer! This program is for anyone in high school and looking to grow as a leader, serving alongside some awesome camp staff. Check out the link in our bio for all the details. LIT Applications close Tuesday March 5th! Don’t miss it! For the record #surfsunday is already a thing. Stay warm peeps. Should we make #cabinphotosaturday a thing? Which week and which cabin? It’s too cold for decent captions. #missingsummer. Registration opens Feb 5 at 8am. . . #campkadesh #waterfront #cold. Do you still have a few questions? Head over to the FAQ page. In this activity campers will get to take on our Challenge Course and be hoisted up to do the giant drop swing know as The Whipper*. Campers will compete in various challenges over the mud-pit and then head out to the lake to launch and be launched off The Blob**. *The Whipper is like a swing, but participants are buckled into a body harness, the rest of the team pulls the camper as high as wanted and then the camper pulls a release to drop into the swing. It also has great elements of team building in that the only way to be pulled up is by your team tugging the rope. **The Blob is a large inflatable, that when one person sits on the end and another jumps off a tower, it launches the first into the air and then splash down in the lake. This activity combines the various skills of wake boarding, water skiing wake surfing, and knee boarding. Have a chance to ride the wake in so many different ways. For those that are just learning and for those that are perfecting tricks, we will get you up and teach you something new. Kadesh wants to see each camper excel and become better. 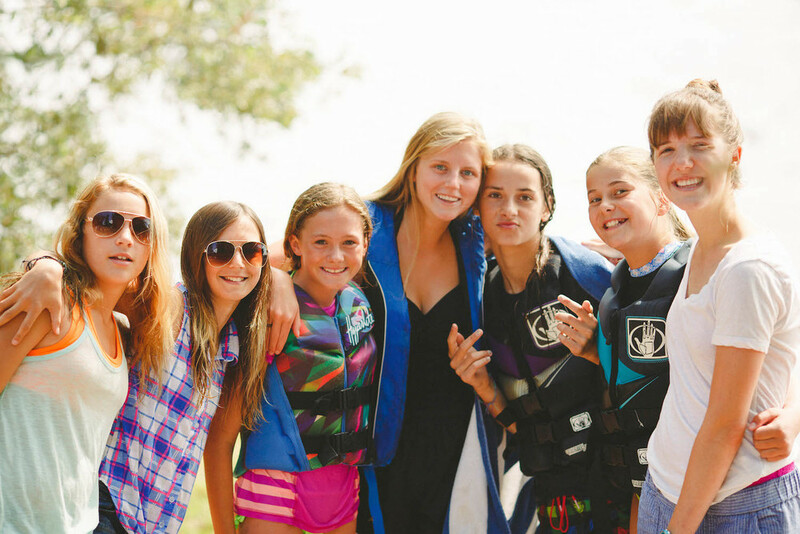 We have resized our water-sport activity groups from 12 campers down to 8 giving each camper increased time on the water. Increased time, better coaching staff, and smaller group size are just some of the things that make this one of our most popular activities. Campers can select this at the time of registration and the cost is additional for $45. (Campers can sign up at the time of camp if there is space left available) Water-sports is not available during Kids Week. Wall climbing has grown in popularity in the last number of years. 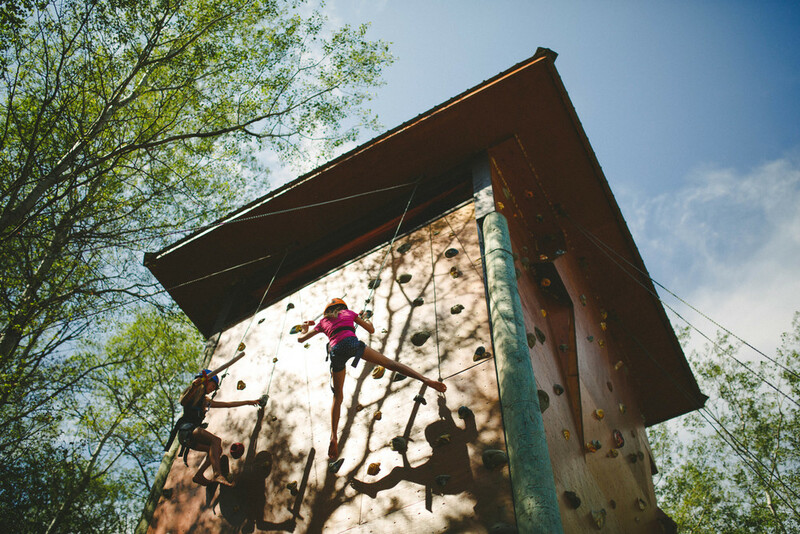 Our 30 ft wall is built with 6 different routes, each increasing in levels of difficulty to challenge all campers. If simply climbing the wall seems a little too simple, just watch out we might equip you and your partner with foam swords to duel your way to the top. A classic camp activity. Depending on the age of the campers this will train the youngest campers on the basic canoe and water safety, parts of the paddle and canoe and how to paddle combined with the fun of games intended to teach the basic skills. For older, more experienced campers there will be the same basic orientation, but some more advanced skills and the ability to get farther out on the water. This will usually focus on basketball, soccer, volleyball, and ultimate Frisbee, but there is plenty of opportunity for staff to introduce some other sports into week to mix things up. This takes the traditional skills of archery, tomahawks and slingshots and challenges campers to perfect their skill in shooting and throwing. Campers can have the chance to learn on both recurve and compound bows. Tomahawks is the skill of throwing hatchets. Stand-up Paddle Boarding (SUP) is a fairly new activity on the water. Campers will learn the basic skills of balance and paddling and then get out on the water to explore Christopher Lake. The description is pretty straight forward. Hop on the tube... get pulled behind the boat. The tricky part is staying on. It's pretty simple and yet fun for hours. Every wondered if you could survive alone in the woods? We suggest learning a few skills before you head out on your adventure. In this skill we show you how to build a fire using only the basics. You'll learn how make that fire just right and then cook some food over it. We'll give you the basic skills of map and compass orienteering to find your way around and just in case you can't you also learn the basics of shelter building. With an element of competition, each of these activities makes for a fun way to learn a number of skills. Don't be confused by the 'leisure' in this one, there is plenty of skill and competition be found in this activity. Leisure sports is designed to take some of the more "sophisticated" sports like bocce ball, croquet and have some fun playing things that campers might not normally have thought of or had the chance to try. It can also be a fun low key activity when all the other activities of the day are fast paced. You'll laugh until you cry when our staff lead some of the craziest improv games we know. Campers will get to invent fun skits and test their acting skills. There will be games that test the ability to bluff, trick and generally fake out your opponents. And the group will get to present some skit or presentation to the camp as a whole. There are few things more camp than crafts. Campers will get the opportunity to make something that they can treasure, like a bracelet or a nature craft. Each session will have a few options that will be interesting for the specific age group. Campers will get to have fun and play games all based around being in the water. This will be everything from water polo, to jumping off The Blob, to ultimate frisbee in shallow water and other things that keep campers cool and having fun. 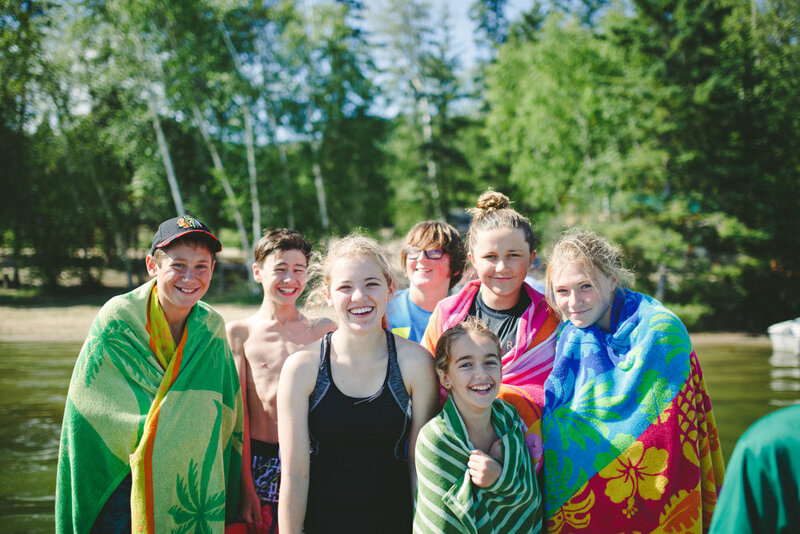 The Outdoor Recreation Program at Camp Kadesh is a recreation based program that emphasizes an active, healthy lifestyle and focuses on the development of character and potential. Students have the opportunity to participate in over 17 unique, recreational and fun activities, many of which students will have never experienced before. These activities change with the season as does pricing and availability of space. Still space available for Spring of 2019. Canoeing, the “Whipper”, Challenge Course, Team Building Games, Orienteering, and Outdoor Survival are just some of the spring activities offered. This is your class trip, and we at Camp Kadesh want to help make it the best experience possible. It is our job to create an experience that is supportive and encouraging in order to maximize each student’s recreation experience. Come to our 2017 staff retreat. Sign up is now open. We are thankful to have Karen Kruger join us this fall as our Food Service Manager. Karen brings a fun dynamic to our full time team - her attention to food quality, and injection of joy, laughter and music to the Camp Kadesh kitchen has been a welcome addition.